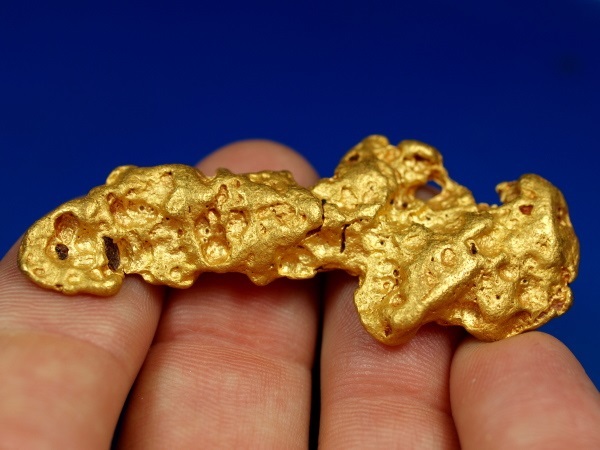 Here is a gorgeous piece of Australian gold! 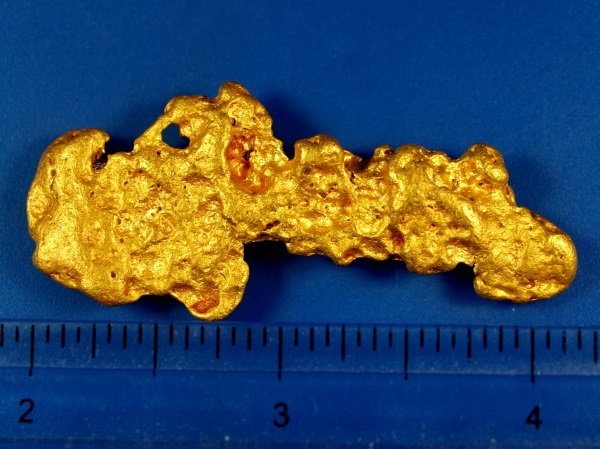 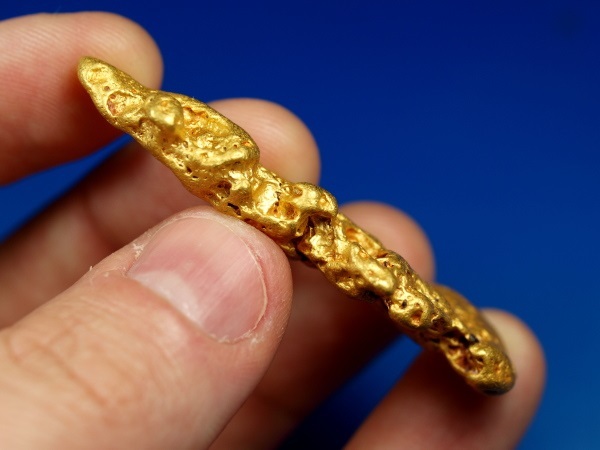 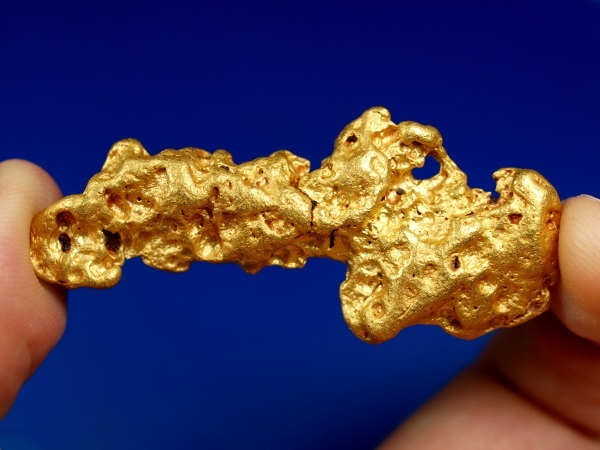 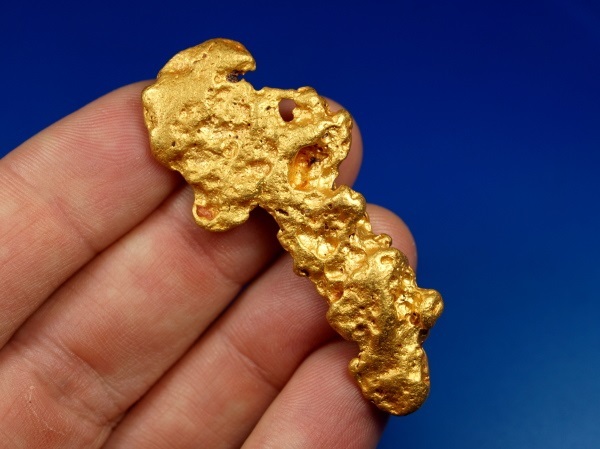 This nugget is a recent discovery from the famous goldfields of Kalgoorlie, Western Australia. 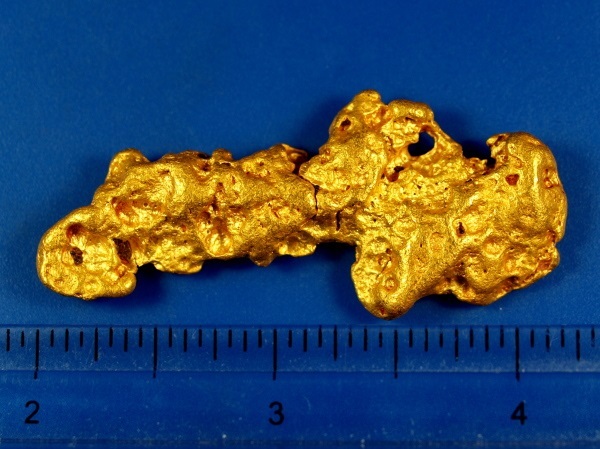 It weighs 1.60 troy ounces or 49.80 grams. 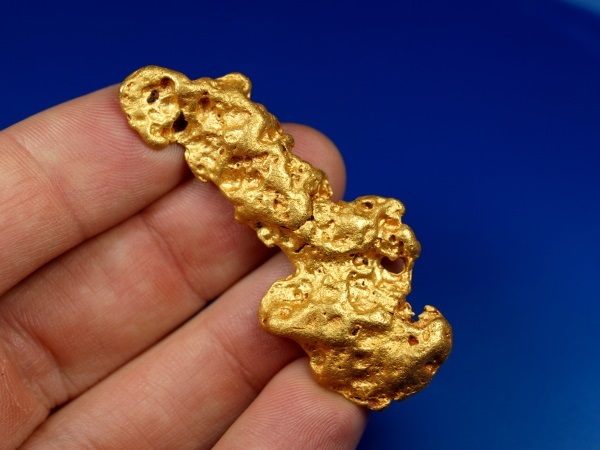 This piece of natural gold is over 2" long with bright beautiful colored gold and a really impressive size and shape. 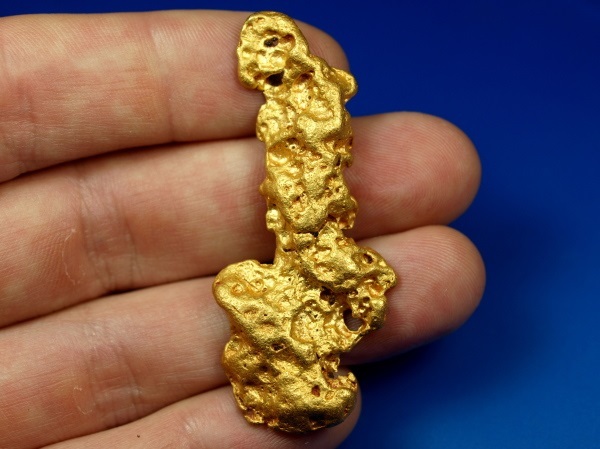 Definitely a fine addition to any gold collection.